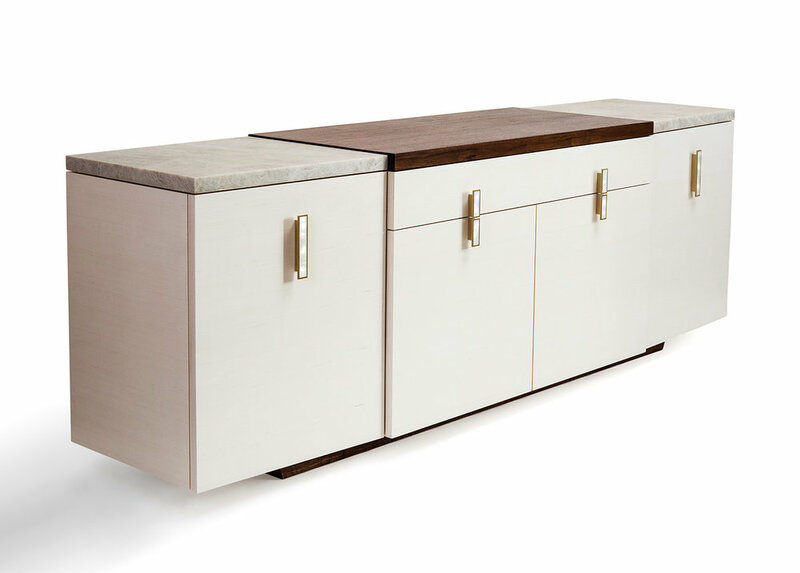 The Park Credenza is a modern take on a simplified Art Deco design. Custom brass hardware with mother of pearl inlay add a touch of luxury. Shown in bleached maple, with a honed Taj Mahal quartzite and walnut top, sitting on a walnut base. All designs are made by hand and made to order. Customizations of finishes, woods, are available.